It was a good match. Onwards to vanquish Le Frogs!!!! Besides, they also win the "hottest President" category!!!! 1. It was a good match. 2. Onwards to vanquish Le Frogs!!!! 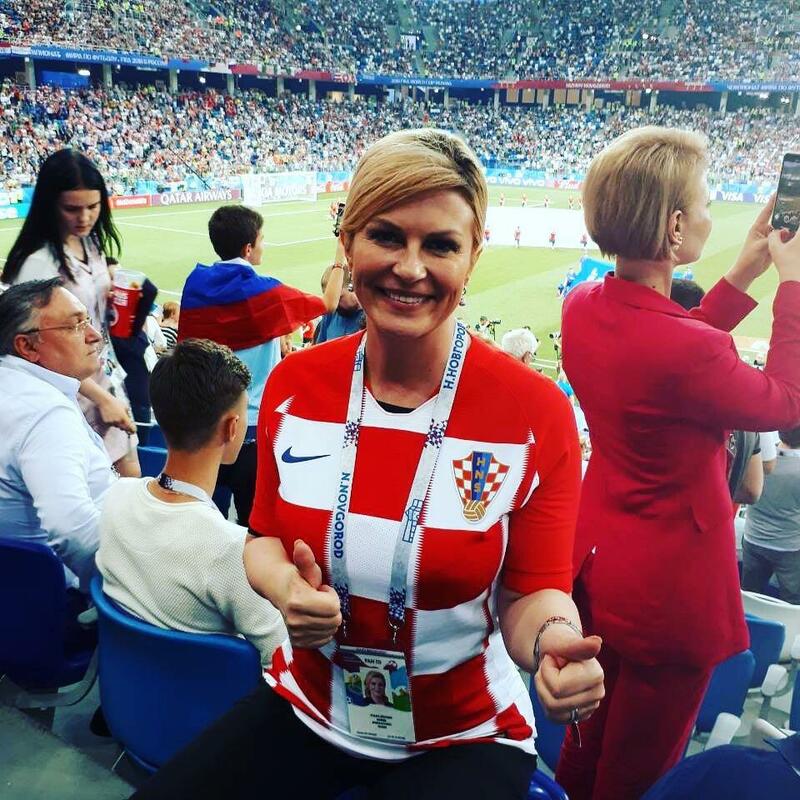 At least the Croatian team seemed to be mostly Croatians. 4. That's how you do it! 6. Besides, they also win the "hottest President" category!!!! And if that was not enough to make netizens fall in love with her, on her trip to Russia, the President boarded the economy class with fans as they headed to Sochi to cheer on their national team. She even featured in a group selfie photo with the passengers aboard the flight. 7. Good luck against France. I can't deny that Croatia were the deserved winners today, and really ought to win the whole tournament now if there any justice.